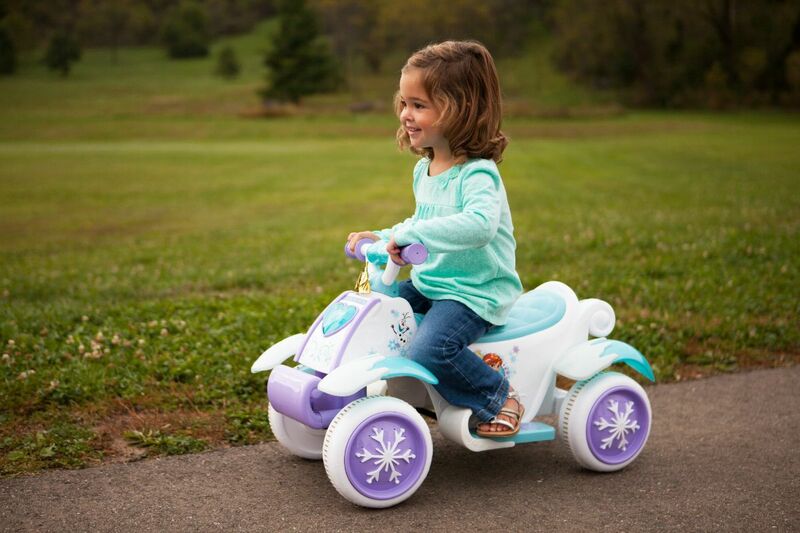 Olaf, Anna and Elsa would like the pleasure of your company on this Disney Frozen 6 Volt Quad. 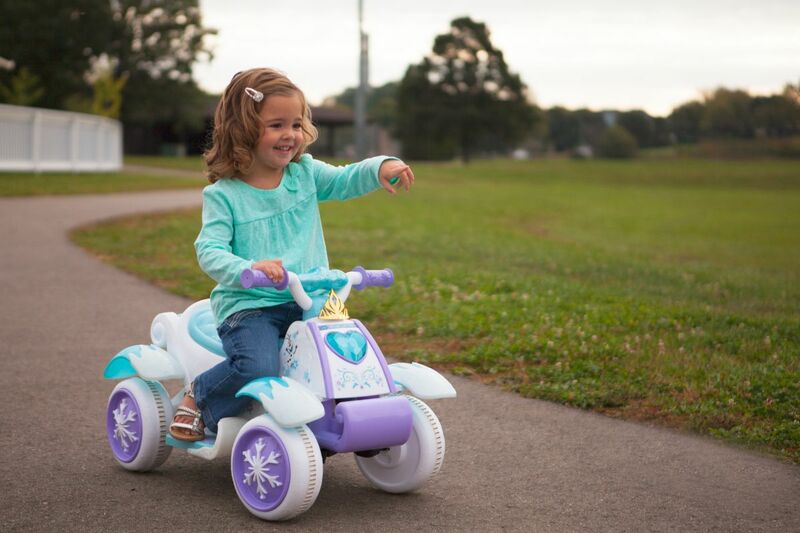 It features all your favorite Disney Frozen characters, and will be tons of motoring fun for toddler ages 18 months to 3 years old. Traveling at a safe speed of 1.5 miles per hours they can pretend they are part of the royal family. 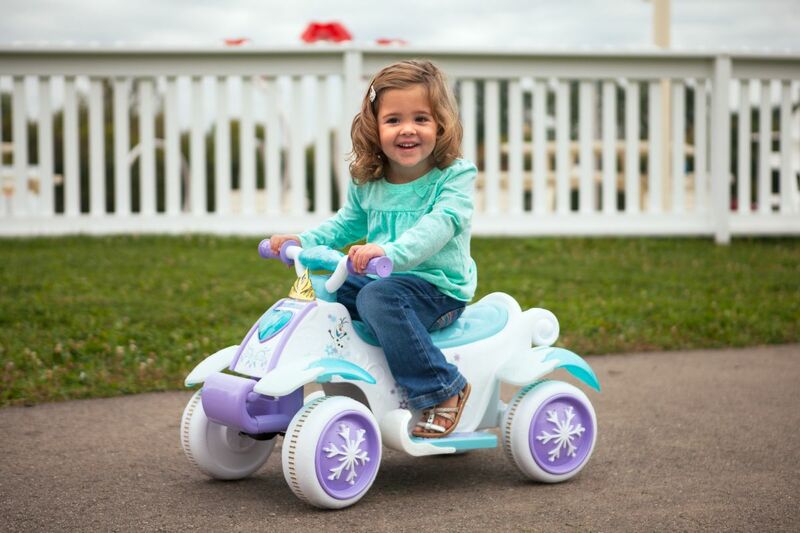 The Quad features easy one button acceleration that even little hands can master, and an included 6 Volt charger. Included Power Trax rubber traction strip tires ensure a no slip grip on even slick surfaces. 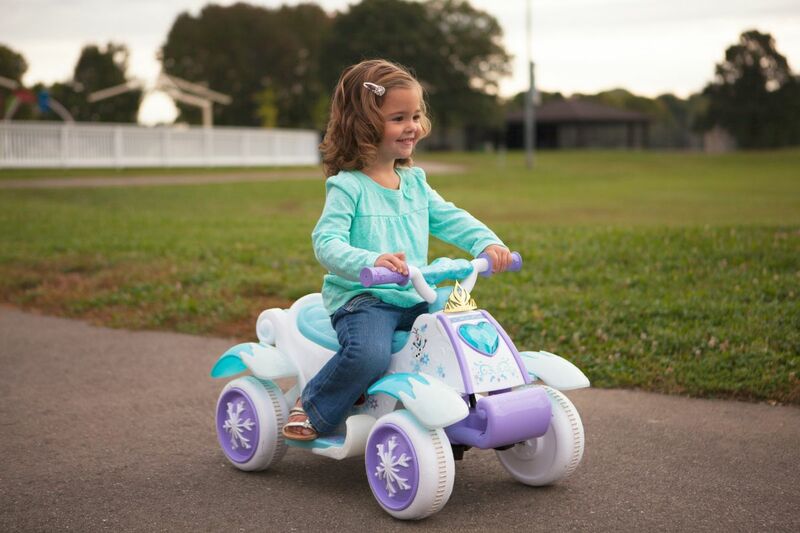 Suitable for ages 18 months - 3 years, one rider, max weight 45 pounds. Join our mailing list to stay up-to-date on new products, tips, and special offers! 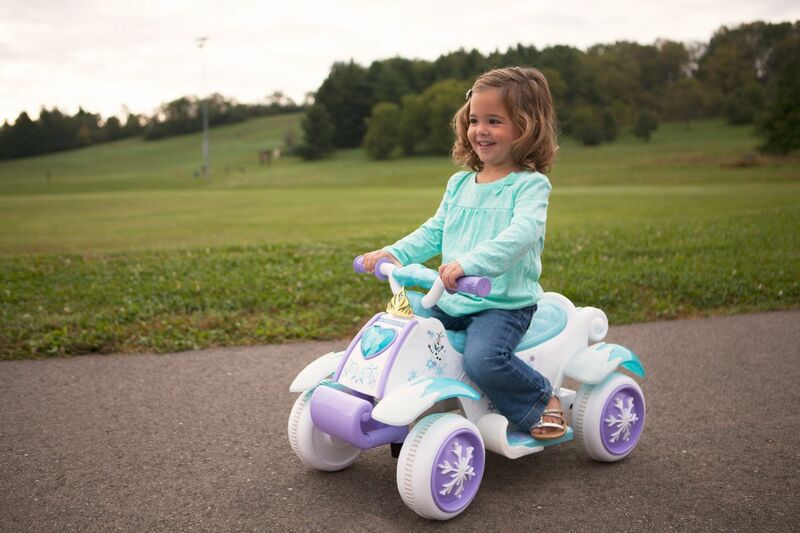 Kid Trax makes award winning battery powered ride-on toys. 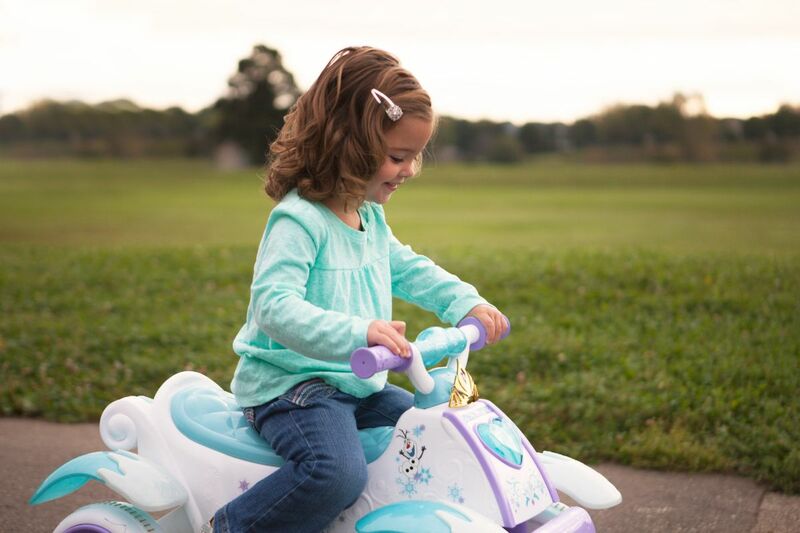 Our attention to details, creative designs and play features take favorite play themes and licensed characters and brings them to life for the child. © 2019 Pacific Cycle Inc.